In the southern Swedish region hundreds of companies have a keen interest in the perspectives of using Additive Manufacturing, but many of them are not entirely sure of what they can use the technology for and how they can use it optimally in their businesses. Industrial 3D metal printers are relatively expensive and it does not make sense to invest in machines that are idle in most of the time because lack of proper knowledge and skills how to design parts optimally for 3D metal printing. With the acquisition of two advanced 3D metal printers, Lund University becomes a lighthouse and spearhead for the adoption of Additive Manufacturing among southern Swedish and also Danish companies. 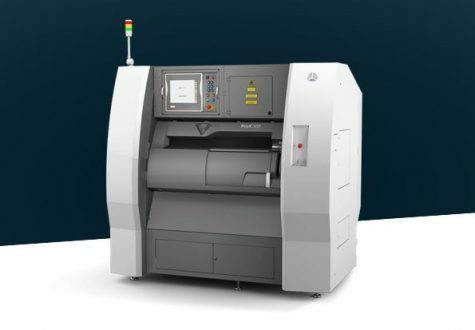 Lund University has acquired two 3D Systems ProX DMP 100 and ProX DMP 300 3D metal printers from PLM Group. The purpose is to spread knowledge about Additive Manufacturing among companies in the Southern Swedish region and provide easy access to expert skills in 3D metal print. The printers are set up in a so-called Demo Lab for 3D print where companies can try out the machines to see how they can benefit their businesses while at the same time drawing on the university’s expertise within Additive Manufacturing. “We will create an experimental playground where companies can come and play with and experiment with Additive Manufacturing using 3D metal print. 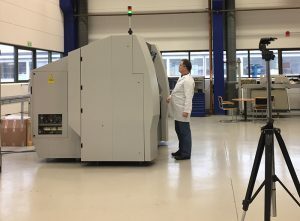 They can test things and see if it makes sense for them to apply the technology,” says Professor of Product Development, Olaf Diegel, who heads the 3D Printing Laboratory. He adds that he expects that some of the companies will acquire their own 3D metal printers as they discover the benefits that Additive Manufacturing can bring to them. The laboratory will focus mainly on the optimal design of parts and mechanisms for Additive Manufacturing with 3D metal printing as well as the engineering and manufacturing of better and more efficient tools for tasks such as injection molding of plastics, sheet metal machining and extrusion. “We are also going to design and manufacture a lot of really cool parts to showcase the benefits of Additive Manufacturing compared to using conventional machining technologies,” says Olaf Diegel. According to Olaf Diegel, research among major international companies such as Boeing and Daimler shows that up to 70 percent of the costs of 3D printed metal parts is spent on post-processing: “It can be terribly expensive to manufacture the parts if they are not properly designed for Additive Manufacturing. By designing them correctly from the beginning, it is possible to print parts and mechanisms that require only minimal or even no post-processing at all,” he points out. Olaf Diegel expects that the new printers will be in full operation in the Demo Lab at Lund University in the beginning of November.